July! Why, oh why, are you already here?? Well. I guess you can stick around because July is going to be a big month for me. 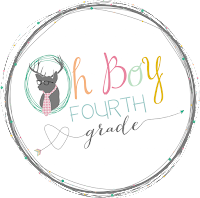 Speaking of it being July, it's time for "Currently" with Farley from Oh Boy Fourth Grade! I am currently getting ready to go to Vegas! 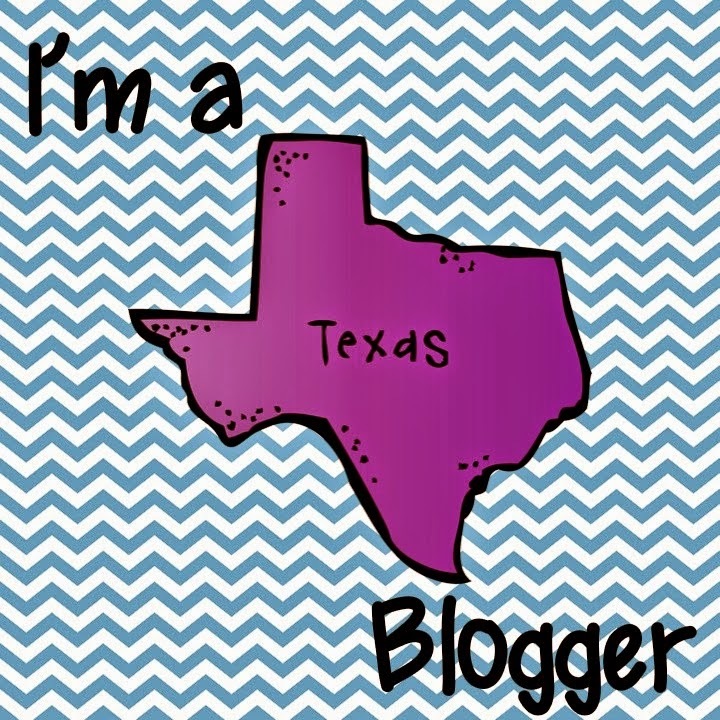 I have never been to Las Vegas, and I've never been to the TPT Conference, a blogger meet-up, etc. So far in my TPT/blogger journey, it has just been me and my computer! I am SO excited and feel so grateful to be able to get to go and meet up with like minds! Thank you husband for being cool with me going! 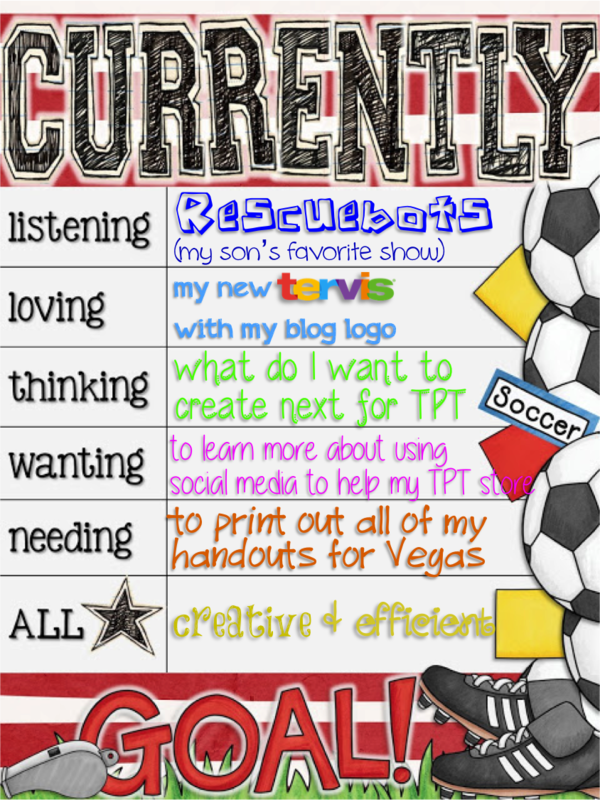 I have several people on my rock star list that I hope to meet - Annie Moffatt, Amy Lemons, Cara Carroll, Deanna Jump, Nikki from Melonheadz, and hopefully lots of 4th grade bloggers! I have been making preparations for my trip and reading several blogs from people who have gone to the conference previously to get an idea of what I should take with me. Everyone has had fun suggestions of helpful things to bring, so I have been ordering lots of things online. I have been so excited over the last week because of all of my goodies coming in the mail that I have ordered to take with me! I ordered some business cards from Vistaprint to take with me that have my contact info as well as QR codes people can scan to be taken to my social media sites, and there's even a code for a FREEBIE! I ordered two cute buttons from Zazzle to take with me with my logo. I got a bag from Zazzle as well, because I read there are lots of goodies I'll be gathering over the couple of days I'm there and to be prepared with a bag! And I ordered a cute Tervis tumbler with my logo on it through their Tervis "customyzer." If you haven't gotten a Tervis yet, I am telling you to get one for next year! I never leave home without it - I have a few and they are in constant rotation when I go to school. (BTW - I have no affiliation with Tervis, just a happy customer). So those are my Vegas goodies!! I am so excited! BUT - my bag is lacking something. I don't know what it is. What can I do to it to cuten it up, y'all? I love the logo, but it looks bland for some reason. Leave me a suggestion or two please! What is missing from this bland bag, y'all? Your tervis is adorable! I own a few of them and they are my go to cup especially when I travel! I hope you have a blast in Vegas! Good for you going out of your comfort zone and trying new things! Safe travels! Okay I was never too excited about people making buttons or business cards but a TERVIS?! Oh my word. That is my love language. What a fantastic idea! PS So glad to find you through the Upper Elementary Group AND to see you're a fellow Texas teacher!! Love all the your blog goodies! I will be in Vegas too! Hope you have a great time! Hey Mindy! I hope you had an awesome time in Vegas! I love your tumbler and I am buying one as soon as I finish commenting! That is much cuter than a lot of other cups I have seen! !